This year Genesis released a career spanning box set. I don’t have that one yet, but I figured that this would be a good time to take a look at this one that came out several years ago. This album is a three CD set. 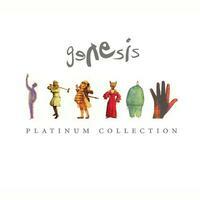 It features music from every album the band had done at the time of release, except for From Genesis to Revelation. It does seem a little heavy on the pop era of the band, though. Also, the sequence seems a little strange. Still, it’s a good set. Some of the tracks here have been remixed for this set. I have to say that I had reviewed a lot of these songs on previous Genesis album reviews at MSJ. For the sake of consistency, I’ve adapted those song reviews for use here. Here’s an example of how a more modern pop sound can be combined with proggy elements to create a song that works really well. This is moody and powerful and I’ve always liked it a lot. While not overly annoying in terms of pop music, this is quite far from progressive rock. It’s a bit entertaining, but also kind of weird and not really all that strong. The chorus is catchy, though. A faster paced pop rocker, this is not terrible, but it’s also not very substantial. Still, there are some cool moments. There’s a bit of a Genesis sound on this, but overall it’s really got a lot of that too pop oriented Phil Collins solo sound. I’d have to chalk this one up as a “skip it” song. This pop dittie is just about as clichéd and mainstream as Genesis ever got. It’s very much like something you’d expect on a Phil Collins solo disc. The thing is, it’s catchy and entertaining anyway. Another hunk of pop near drivel, this one’s not quite as bad as “In Too Deep”. This track and that one are quite literally throwaway songs, though. So, this is a bit different version from the original, but not different enough to really merit a separate review. Here’s what I said about the original: Take the percussion based sound of Phil Collins’ “In the Air Tonight”. Blend in some old Genesis and you’ve got a good idea of this track. It feels like it could have fit quite nicely on Duke. I like this track a lot. It’s moody and mysterious and yet catchy at the same time. That’s a hard balance to pull off. Say what you like about this track, but it was cool in the day and it’s cool now – with or without the video. There’s actually a decent amount of old school Genesis on this, delivered up with a catchy pop rock sensibility. I really think this is still a killer tune. And the train comes off the tracks with this schmaltzy ballad. It’s just too precious and formulaic. Phil Collins’ vocal performance is evocative, but not powerful enough to save this. There’s a reason it gets played on light hits radio. Rhythmically driven, this is actually kind of a cool tune. It’s moody and rather creative – although rather like “In The Air Tonight” from Phil Collins’ Face Value album. I’d actually say that it has quite a bit in common with Peter Gabriel’s solo output. I really like this track to be honest. Bouncy and quite pop oriented, somehow I’ve always liked this one. Don’t ask me why. It’s catchy and very mainstream – perhaps a bit like Supertramp – but it’s good – that’s all. There’s a rhythmic kind of electronic element as this opens. It gets into more melodic territory for the vocal sections. I think that the vocals really sell the piece, but there are some musical elements that work well, too. This definitely has a lot of that Genesis pop sound, but still has enough meat on its bones to be effective. Starting percussive, keyboards come over the top of that backdrop. It works out to a fuller arrangement from there. There is a bit of a funky groove to this. Still, it’s definitely “Home by the Sea”’s proggier sibling. It’s got an extremely extended instrumental section that eventually gives way to a short reprise of the other song. This is arguably the silliest song Genesis ever did. Still, musically it has some good things going for it. It’s a rocker and not pure pop by any means. It’s bouncy. It’s not overly prog, but it’s not throw-away, either. With some better lyrics, it would be a good tune. Horns on a Genesis song? One of the studio cuts on Three Sides Live (the US version), this might as well have been a Phil Collins track and is one of the worst examples of Genesis turning pop. This is one of the proggier songs on the Abacab disc. It’s hard rocking and a good tune (hit or not). This feels like it could have been a leftover from the Duke sessions. I really like the “C” part of this composition. For those who never heard the story, “abacab” refers to a song writing principle. You do section “a,” followed by section “b,” and then repeat “a,” and then do a section “c,” --- you get the idea. Of course, somehow it seems to me that they add a “d” into this (the percussive section that gives way to some killer keyboard textures), although I remember them saying that was the song structure of this. Perhaps they were referring to the single version, which I believe skipped this extended instrumental outro segment. This is a harder edged jam. It’s another that almost feels like it could have made it onto Duke. There’s a bit of a pop edge to this, but piled onto a more purely progressive rock oriented composition. I like this, but somehow the music on it feels a little silly to me. I do love the keyboard textures on it quite a bit. I've loved this track from the first time I heard it. It reminds me a lot of the more rocking moments of And Then There Were Three, and that's a good thing. The keyboard sound is classic Genesis and the vocal arrangement is powerful. It has some cool shifts and changes, too. It's just a great tune. The keyboard dominated introduction on this has an almost regal flourish to it. It’s classic Genesis bombast. The shifts and changes that ensue are definitely classic, too. It has a solid song structure and compelling vocal section. It’s really a more modern take on the more classic Genesis sound. I love this song. It has a great balance between harder rocking mellower aspects. It has a definite classic Genesis sound to it. It is packed with emotion and power and really just works extremely well. It’s catchy and yet meaty and quite progressive rock oriented. This hit comes from Duke. One of the earlier hits from the group this feels quite a bit like something from And Then There Were Three. It fares much better than much of the pop music the band delivered over the years. “Many Too Many” is a wonderfully pretty ballad. It starts off with piano and builds on this general musical sound for the basis of the track. Other sounds join in the mix as it carries forward, but they pull it off without ever losing the evocative textures that started it off. Genesis always had a way of creating exceptionally emotional pieces of music, and this is a great example of that skill. It’s also one of my favorites on the And Then There Were Three. A definite hit for the band, this cut has been raked over the coals by a lot of people, but frankly, I think it’s a great number. This cut essentially alternates between a beautiful balladic portion and a more energized one. It feels a lot like it could have fit on the Wind and Wuthering album and is truly one of the highlights on the And Then There Were Three album. The extended verse segment is purely awe-inspiring in terms of its evocative textures. If you have a friend who is a fan of older Genesis who says that the And Then There Were Three disc is worthless, play this one for him by itself and see if he can argue his way out of that corner. This is essentially the second part of a two-part piece on the Wind and Wuthering album. For that reason, it seems a bit odd to me to have it here without the other section. Still, here’s what I said about this when I reviewed Wind and Wuthering: From the last cut this bursts into a fairly typical, but still quite tasty faster paced, more rocking Genesis jam. They throw in a few riffs that even seem to call to mind (progression wise, not arrangement) A Farewell To Kings era Rush. They twist this into a killer jam later that seems to me to be the inspiration for a lot of neo-prog. This is oh so tasty. The song has plenty of quirky changes and instrumental virtuosity to please even the most jaded prog rocker. It runs straight into the next track. This evocative and powerful song seems to share a lot of its composition with "Your Own Special Way." You can say what you want, but in my opinion Genesis just doesn't get more powerful than this, and never did. The lyrics, arrangement and performance all work to create a soul-stirring ballad that is so strong it defies words. Okay, yes, this is a pretty love song. The thing is, it's still a prog ballad, and it's one of the best love songs written in the genre. This is pretty and uplifting. The chorus is just plain beautiful. Yes, it does show some signs of the more pop oriented music that the band would later do, but honestly, taken by itself, this one is great. This is quite well suited for the theatrical Genesis of old. It’s got bouncier, mellow sections and more rocking ones. The story here is rather sad, but yet, they make it feel fun. It’s a complex and lush piece of music. I’ve always been a big fan of this one. Very much in the vein of the older incarnations of Genesis, this is a powerful piece. It’s essentially a power ballad. It gets quite lush and evocative. It’s also very beautiful. It’s not fragile, but it is delicate at the same time. It’s intricate and has some great guitar work. It’s a great piece of music. This instrumental starts mellow and builds out into a real powerhouse. It’s got all the Genesis trademarks and some great melodies. Starting off a little gradually, this bursts out into a real progressive rock powerhouse from there. The vocals almost have a little bit of punky sneer at times. This is complex, powerful and has some great musical and vocal moments. For those who think that the pop stuff was limited to the Phil Collins era of the band, I submit this. Sure, it’s proggy, but in a lot of ways, the bouncy music on this is closer to late era Beatles pop rock than it is to pure progressive rock. It’s a good song, but not one of my favorites. The weird little break in this really leaves me scratching my head. The vocals on the outro make me think of Motown. Now, this song, on the other hand, has always been one of my favorites. In fact, we used to do it in a cover band I was in – by my choice. This is extremely delicate on the first verse. The cut gradually gains more power. It’s almost like a ball of snow rolling down a hill. The choruses are infectious in a dreamy kind of way. The song is just plain sublime. Keyboards open this in a very classical way. From those humble beginnings, this is worked into a real epic piece. It gets powered up after this fairly extended introduction. It’s a powerful and classic Genesis styled song structure. The guitar and drums drive the music, while the vocals lend their own brand of magic. Mellower sections emerge with an almost folk prog vibe to them, and the cut keeps evolving. It works back out to the harder rocking territory. Then the piano, with some weirdness attached at first, reclaims it. The piano remains and a flute comes over the top to create a delicate folk prog arrangement. More energy is brought into this section. Then it fires out into a keyboard (but not piano) dominated progressive rock jam from there. As the guitar rises to prominence, it ekes out some great melodies. It really soars across the arrangement at times. The sound gets more filled out with other instruments as they carry it forward. It eventually works back to the song proper to take us the rest of the way. Delicate and quite intricate music opens this and grows gradually. The first vocals come over the top of this backdrop. The cut evolves fairly organically, winding its way through a number of shifts and changes. There are theatrical sections, more rocking ones and mellower movements. It’s quite an epic track in both length and scope. I love the fast paced jam that takes it around the six minute mark. That movement continues to evolve in some very natural, but powerful ways. Various instruments get moments in the spotlight. The thing is, the whole piece just grooves and nothing ever overshadows anything else. It really intensifies around the nine minute mark. Eventually it transforms to a slightly mellower, melodic excursion to work through to the end. Atmospherics serve as the backdrop for a theatrical vocal section. Drums come in as that is still in progress. Then the track turns out to more powered up Genesis music. I love the lush choruses on this piece. Later in the track, it drops back to a percussive section for more theatrical vocals. As it comes out of that, it makes me think of Genesis does War. “Supper’s Ready” is the epic of the Foxtrot album in terms of length, scope and just about any other aspect you can imagine. It is a powerful piece that works through like a whole story – in terms of lyrics and music. There are many moods and this is really one of the quintessential progressive rock epics by any band. This ten minute plus epic is a Genesis classic and an amazing piece of music. There’s a rather medieval texture to much of this – particularly the mellow opening balladic section. In fact, this gets incredibly dramatic and powerful without really rising up the hard rocking territory through the first several minutes. There are a number of alternating musical excursions and themes, but yet it feels very organic. There’s a definite theatrical texture to this. We’re actually past the three and a half minute mark – the length of a typical pop song, before it moves out into the realm of real rock music. They get quite involved and almost crunchy at times. This definitely isn’t metal, but it’s as close to it as Genesis ever got in those days. Still, this jam drops away before the five minute mark and they bring back the more sedate sounds for another dramatic verse. When they fire back out a bit before the six minute mark this is even more powerful hard rocking music. Still, this doesn’t hold it for the rest of the song. They drop it back down just a bit past the seven and a half minute mark to another dramatic and theatrical ballad section. From there they bring us out into a keyboard dominated climactic movement that’s got a definite classical symphonic element to it. This is Genesis at its best and an incredible piece of music. When it comes to Genesis’ catalog you can’t get much better than this. This track by itself would be worth the price of admission, but it doesn’t have to stand alone as there are plenty of strong supporting players. This keyboard laden jam is one of the hardest rocking pieces on the Trespass album. It’s also an absolute classic. I’ve loved this track since I first heard it on the band’s first live disc, but you have to really hear the studio version to fully appreciate that live one. When Peter Gabriel sings, “Stand up and fight…” you really feel like you need to get on your feet and join the fray. This was a mainstay of the band’s live show and with good reason. It’s one of the strongest tracks any lineup of the band ever produced. It’s still got enough of the contrast between dark and light, mellow and rocking to establish itself as classic Genesis. I particularly like the dramatic building segment mid-song. It’s always felt so powerful and invigorating to me. A mellow flute laden jam serves as the base and the group begin to climb the summit from there. While this section is potent in the aforementioned live rendition it seems to shine even more here as it feels more pronounced and drawn out with short rest areas along the path. The final surge over the precipice is a smoking staccato jam that’s one part heavy metal and one part classic progressive rock. I can’t imagine a better closer to the disc than this roughly nine minute long epic. They bring us back to the familiar chorus to take it out in style, but even that has more energy and power to it.